ANTIQUES IN SUSSEX COUNTY N.J.
Northern New Jersey's favorite antique store with over 40 unique antiques dealers. A family owned and operated business for 14 years at this location. We have 8,000 sq. 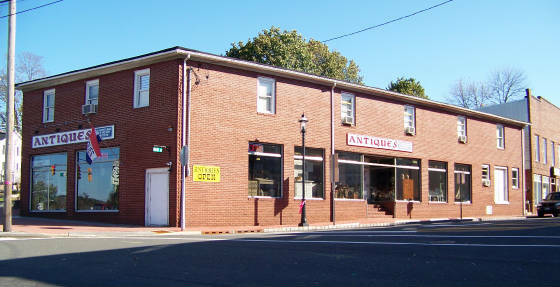 ft. of space filled with affordable quality antiques, collectibles and a beautiful selection of furniture. Shop in an 1850's two story former hardware store located on historic Main Street. We have 44 years experience buying & selling antiques and are always there for your assistance. The center is closed: Easter Sunday, Memorial Day, July 4th, Labor Day, Thanksgiving & Christmas Day. LOCATED JUST ONE HOUR WEST OF NEW YORK CITY. WE ARE 14 MILES SOUTH ON RTE 94 FROM WARWICK, N.Y. 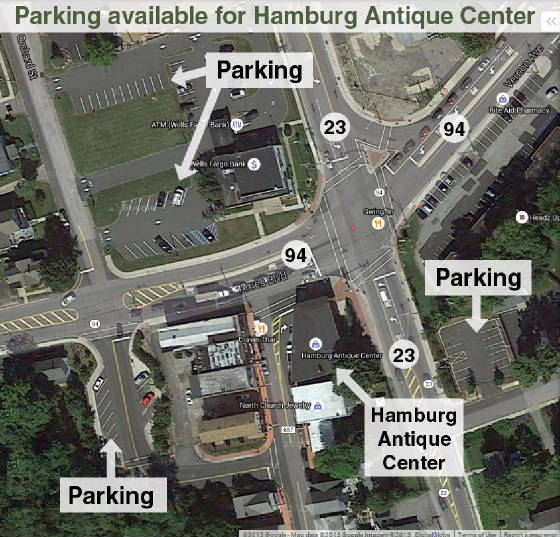 AMPLE PARKING ON MAIN STREET IN FRONT OF THE CENTER AS WELL AS ADDITIONAL PARKING LOTS PICTURED.